Maîtres du Temps is a new watch company founded by Steven Holtzman. Its goal is to bring groups of master watchmakers together to develop exclusive timepieces. Steven Holtzman began working in the field of horology over twenty-five years ago when he sold and distributed watches in the United States. In 1997 he created Helvetia Time Corporation (HTC) to distribute high-quality Swiss watch brands, including Roger Dubuis and Jean Dunand. Helvetia Time Corporation became one of the few high-end, independent watch distributors in North America. 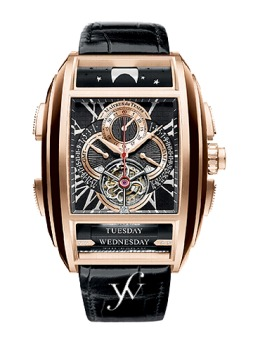 Now with the creation of Maîtres du Temps he is raising the bar for watchmakers everywhere.